"The LEGO Movie 2" opens this weekend and naturally, it needed another pop song to get stuck in everyone's heads. 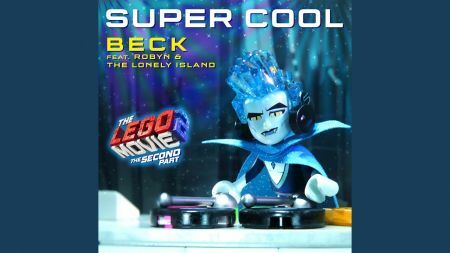 Enter Beck and Robyn, who teamed up with The Lonely Island to create the movie's lead single "Super Cool", which you can listen to by playing the video above. "Super Cool" isn't quite as catchy as "Everything Is Awesome", the hit single from the first movie that has more than 60 million views on YouTube. That song, which was a collaboration between Tegan and Sara and The Lonely Island, was one of those singles that immediately captivated everyone who heard it. While this one may not reach those heights, good luck getting "Super Cool" out of your head once you've played it. The track is less bubblegum pop and more dance pop, and the lyrics make it obvious that within the context of the movie, this is another song meant to convince people that everything is fine after the Duplo army has invaded Bricksburg. But whether or not you intend on seeing the film, music fans will appreciate it for just being a fun and catchy collaboration between artists who aren't normally in the same sentence together. "Super Cool" is a bit of a departure for Beck, whose last release was the much more serious "Tarantula" from the Golden Globe-nominated drama "Roma." However, he's no stranger to feel-good movies; he also contributed a song to the remake of "Annie" in 2014. As for Robyn, she's starting a North American tour this month; while this song probably won't be on the set list, it absolutely should be. It's that catchy, and it's the kind of song that just makes the playlist it's on a little bit better. Fans who want to add it to their playlists can download "Super Cool" when the "Lego Movie 2" soundtrack is released digitally tomorrow (a CD is also coming but not until later this year). The soundtrack also includes a track appropriately called "Catchy Song" and if that's not enough LEGO-related music, the official LEGO YouTube channel has released a 10-hour music loop. "The LEGO Movie 2: The Second Part" opens Feb. 7. For more on Beck, Robyn or The Lonely Island, including tickets to their upcoming concerts, click their names above to visit their artist pages at AXS.